Off the coast of southern Chile is the magical Grand Island of Chiloé. It is one of 30 islands that make up the Chiloé archipelago in the Lakes Region of southern Chile. It is the first island travelers see while crossing the Chacao Channel by ferry. The island is well known for whale watching, penguins and for its palafitos, which are colorful wooden houses on stilts along the water’s edge. There are also more than 150 iconic wooden churches from the 18th and 19th centuries, several of which are UNESCO World Heritage sites. Chiloé is 118 miles from north to south and 40 miles east to west and it’s picturesque landscape, biodiversity and rich culture will captivate any traveler. 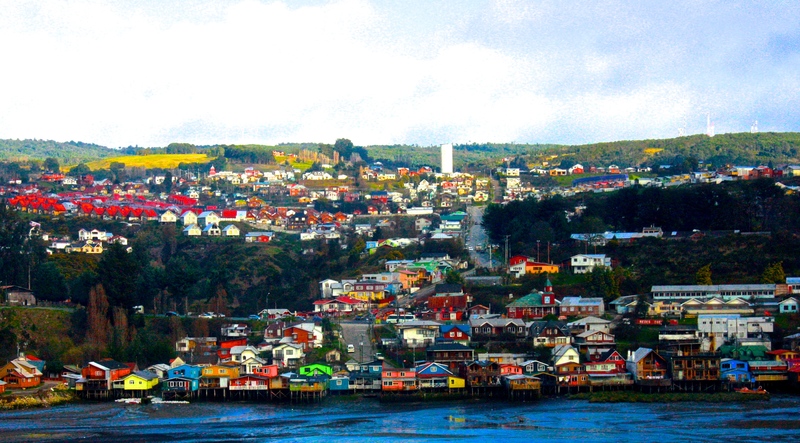 Due to the history of separation from the rest of Chile, Chiloé is known for having a strong sense of territorial pride. Although geographically close to the mainland, they have developed a unique culture as well as gastronomy. Additionally, the people of Chiloé are on a mission to preserve their marine resources, as well as their rain forest, which is one of the world’s few temperate rain forests. 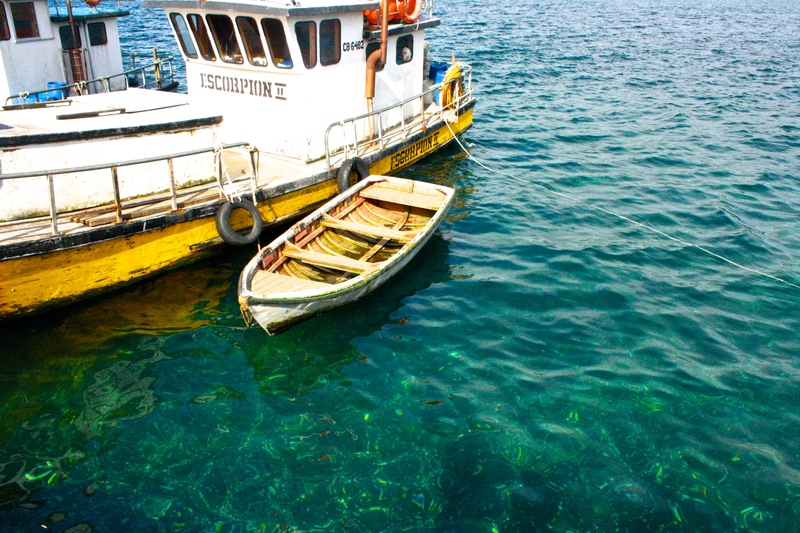 The Alfagura Project is a marine life conservation effort operated from northwest of Chiloé. 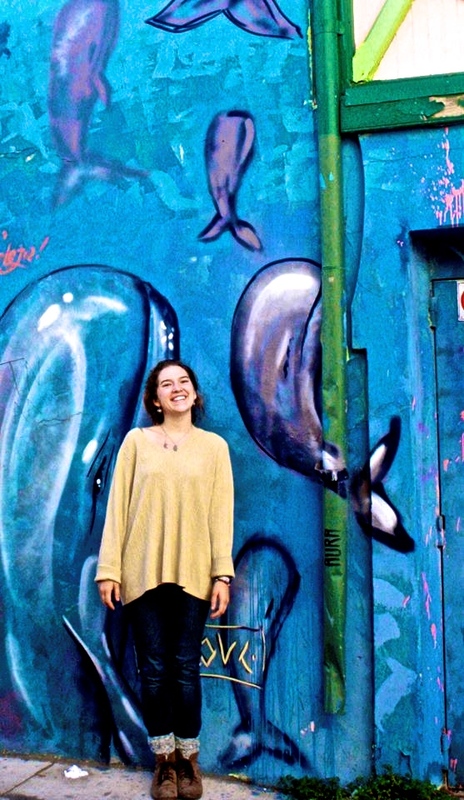 Chilean whalers called blue whales “Alfaguara” and thus, the project aims to preserve the endangered blue whale species. Thanks to this project, there is a vast amount of knowledge regarding the blue whale population in this part of the world. When I went to Chiloé my experience was defined by delicious homegrown food, breathtaking views, and a unique integration into the culture of the people. I spent a day with a shepherd, visited a woman’s artesian co-op, and toured a site where penguins come to mate for the season. My many ecotourism excursions placed emphasis on promoting a healthy and loving relationship with the earth. Between December and April, travelers have the chance to see blue and humpback whales. February has the most temperate weather with the clearest skies. September through March is breeding season for the Magellanic and Humboldt penguins in Puñihuil. During Chile’s winter months (June-August) there is more rain and some national parks close due to muddy trails, so check on the websites before visiting. 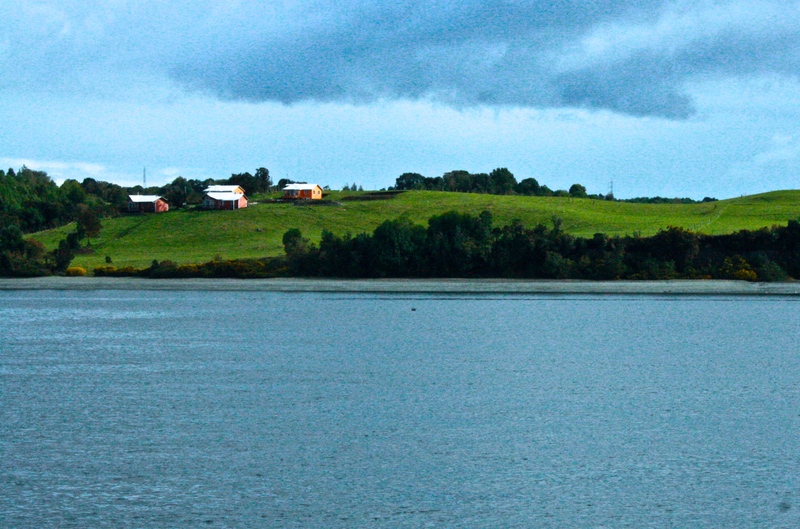 Through all of Chiloé’s diversity, the one constant is rain. You will likely experience some cloudy days, misty mornings, and light rain at least once during your stay. Bring a poncho/raincoat and sturdy hiking shoes to battle the mud and rain. Also, layers are extremely important, especially when visiting the beach, as the temperature can change drastically on the coast. Non-stop flights to Chile (Santiago Airport Code – SCL) are available from NYC and Atlanta. Cheap flights to Chile can be obtained by choosing a one stop option. From Santiago, travelers can fly into Puerto Montt (PMC) and then take a bus to Chiloé , or rent a car to cross the Chacao Channel by ferry. If you rent a car, the cost to cross using the ferry will be around $16. The ferry is pretty awesome because it is so beautiful and if you are lucky you will get to see some marine life! You can also take a bus directly from Santiago but this bus ride is around 15 hours. The city of Punta Arenas also offers bus service to Chiloé. The best way to get navigate the different parts of Chiloé are through prearranged tours or renting a car/transportation for your time there. There is also local bus service that is frequent and inexpensive. However, if you were looking to stay the night I would recommend arranging transportation through your hotel or hostel as they often have various options at very good rates. The highlights of a visit to this island include whale watching, nature hikes, visiting the UNESCO World Heritage Churches, and cultural immersion. The best place to see the palafitos is in Costanera, Castro. 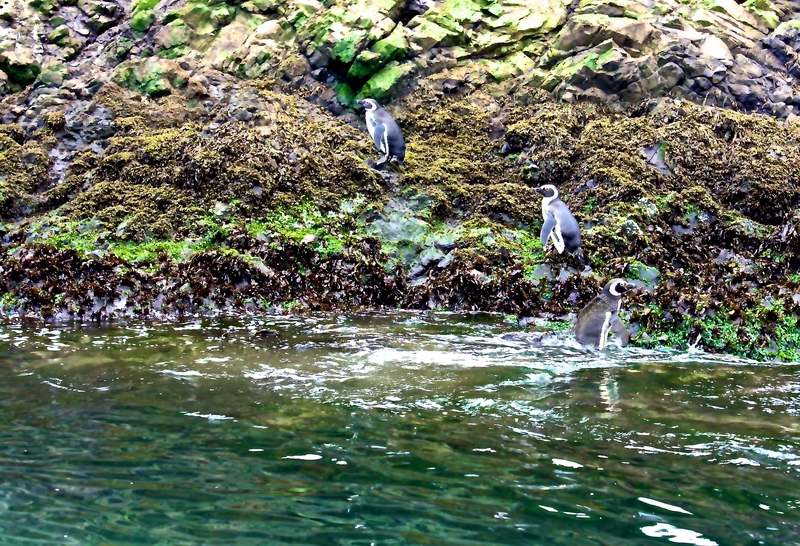 Be sure to not miss the old growth forests in the Chiloé National Park and the penguins in Puñihuil. This is a nature lovers paradise.